Let’s start from the beginning with what we actually know about white noise. In the womb, fetuses are exposed to sound that ranges from, at a minimum, 72 decibels all the way up to 111 decibels. That means for the last 14 weeks of their development, all humans have been hearing near constant sound akin to a vacuum cleaner at a 10 foot distance, all the way up to the equivalent of sitting in a club with a band playing. To make this even clearer, 120 decibels is the pain threshold – fetuses regularly experience sound only 9 decibels lower than that threshold. So, your bundle joy comes out into the world where they’re regularly exposed to typical conversations (60 decibels) or roaring busses and trains (90-100 decibels). However, a lot of the time, it’s just quiet…a little too quiet to their newborn ears that are used to constant (loud) sound. When it comes to sleep, they struggle! It’s no wonder. Ever since we started flipping babies to their backs to sleep (something I wholeheartedly support), newborns the world over have struggled to sleep. Parents resort to a whole range of tools to help their babies fall, and stay, asleep. Back in the day, a baby would be put to sleep on their belly, with their arms and legs tucked under them. Their Moro reflux would be quieted by their tucked limbs and deeper sleep was easier to come by. Now, on their backs, they’re swaddled and shushed, rocked and nursed, anything to help them fall into that deep, restorative sleep. 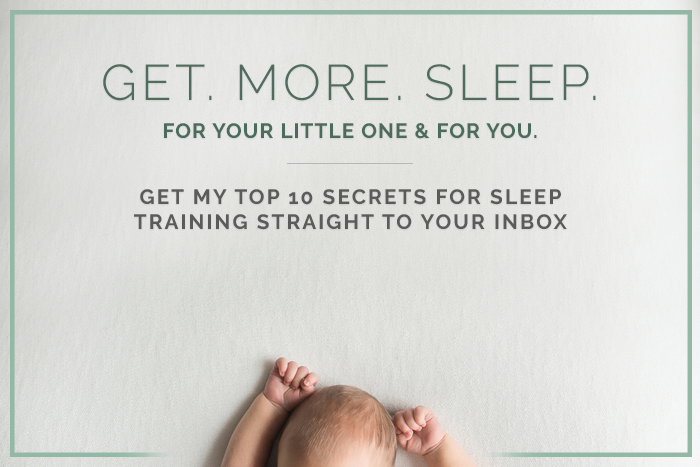 You know what we’ve found is very, very effective at helping babies sleep? White noise! Cue singing angels. It turns out constant, whirring, lovely white noise actually helps infants decrease their heart and respiratory rates, along with their crying, and motor activity, and most importantly it increases the time they spend asleep!! Essentially, babies get stressed out being out of their womb-like environments, and simulating the womb with darkness and white noise chills them out. Not only do they chill out and calm down, they also fall asleep 3 times faster than babies without white noise. We – sleep experts, pediatricians, people who pay attention to what’s happening around them – do not recommend white noise just because, we recommend it because it works! Now, you have Dr. Papsin coming out against white noise. So, here we have parens up in arms over the use of white noise. I’ve had 6 clients in the last 24 hours asking if they should stop using their white noise machines. I will say the following – according to the Huffington Post, the recommended limit for noise or sounds in infant nurseries (I’m assuming this is in a hospital setting? I couldn’t find where this limit came from) is 50 decibels. That is a full 10 decibels QUIETER than a normal speaking voice. That means that just the normal voice you speak to your infants in is “too loud”. So let’s say your white noise is louder than that – is it louder than a garbage disposal? Because that’s 80 decibels, barely exceeding the level of constant noise in the womb. And in all likelihood your white noise isn’t as loud as a garbage disposal because common sense would dictate that that’s too loud, and you wouldn’t want your infant exposed to that level of sound during sleep. And even if your white noise is as loud as a garbage disposal, where is it? Is it within 8 inches of your baby’s head? Probably not. Sound decreases over distance, so it’s not fair to assume that a sound machine placed on a table a 2 to 10 feet away emitting a sound at 80 decibels (garbage disposal level) is still too loud by the time it reaches the baby. To wrap things up, I want to point everyone to the original study. Dr. Papsin and his co-researchers didn’t actually study any babies. Not one. If you read the abstract you will learn that all the researchers discovered was that THREE of the FOURTEEN machines they studied were capable of putting out sound that was higher than 85 decibels and that because 85 decibels, “exceeds current occupational limits for accumulated noise exposure in adults” we should take some measure to study to use of white noise for infants during sleep. Let’s please use our common sense when we measure Dr. Papsin’s study against all the other data (and common sense) out there that supports the responsible use of white noise. Thank you for your blogs! I have been using white noise with my son since birth to great effect. He is 16 months old and a good little sleeper but I keep the sound of the ocean on all night and during his one nap. At what age should you stop using it? Should I just experiment one night and see how he does without it? I feel hesitant to mess with a good thing, but wondering if it is not necessary any more, thank you! I would keep using it indefinitely, but if you truly do not want him to use it forever I’d start to phase it out closer to 3.5 – 4 years of age.